I received e-mail from Randy Blood recently. 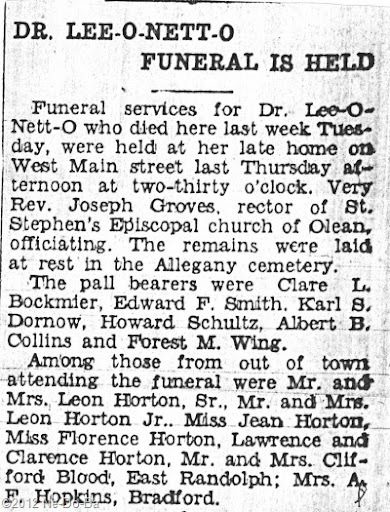 He pointed out a couple of errors in my recent post titled Lee-o-netto’s Funeral Notice. I am totally ashamed of myself for these errors. No excuse – I rushed and I blew it. Today, I would like to correct the information and perhaps turn my mistakes into a positive learning experience for all. Thanks Randy, for getting me focused and back on track.